and provost and has been in the position since December 2010. From July 2014 to February 2015, Arden concurrently served as interim senior vice president for the University of North Carolina system, comprised of 17 campuses serving more than 220,000 students. Previously, Arden served as interim provost since 2009, and as dean of NC State’s College of Veterinary Medicine from 2004 to 2009. 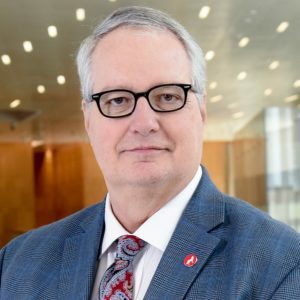 As provost, he is NC State’s chief academic officer, reports to the chancellor, and collaborates with vice provosts, executive officers, college deans and others in the administration of all academic and student affairs. He has led numerous key campus initiatives, including the development and implementation of “The Pathway to the Future: NC State’s 2011-2020 Strategic Plan,” along with the university’s recent reaffirmation of accreditation by the Southern Association of Colleges and Schools. Arden received a Bachelor of Science in veterinary sciences (DVM equivalent) and a diploma of veterinary clinical studies from the University of Sydney, Australia; a Master of Science in physiology from Michigan State University; and a Ph.D. in physiology and biophysics from the University of Kentucky. He has extensive experience in veterinary surgery, having served as department head and professor for the Department of Veterinary Clinical Medicine at the University of Illinois at Urbana-Champaign; associate professor of surgery and physiology and director of the Surgical Research Program at the University of Kentucky College of Medicine; and as assistant professor of surgery at both the University of Kentucky College of Medicine and Michigan State University College of Veterinary Medicine. Arden has led a National Institutes of Health-funded vascular biology research program and has published more than 100 scientific articles, abstracts and book chapters. He has given approximately 60 scientific and invited presentations and has been a visiting professor at nine institutes. Arden has also maintained an active interest in educational research. He is a member of several professional veterinary organizations and served as president of the Association of American Veterinary Medical Colleges.